We used to view technology trends as singular events, but increasingly they intermingle and rely on each other. So, the prominent discrete business IT trends for next year – autonomy, AI, blockchain and analytics – all have some crossover. 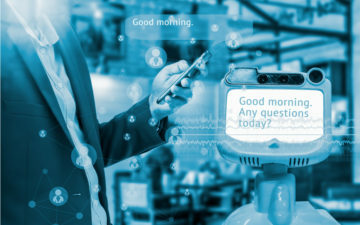 They will impact businesses of all size as the Internet of Things, everything-as-a-service and automated interactions start to take on real significance, driving changes that consumers and citizens will all notice. Think back 10-odd years ago to Steve Jobs on the Apple stage, saying “today, we’re introducing three revolutionary new products, a widescreen iPod with touch controls, a revolutionary mobile phone, and a breakthrough Internet communicator.” Those three things turned out to be the singular iPhone and the rest is history. Since then, smartphones have added GPS, navigation, advanced networking, better cameras, virtual assistants, AR and VR and much more, increasingly powered by smart software and AI. As Jobs put it, “the interplay of software and hardware.” In today’s business climate, companies don’t want to spend money on hardware. Servers are expensive to buy, maintain and upgrade, which is why much of the focus is on the cloud, with only office PCs, tablets or smartphones required to access mostly cloud-based services and data. In that vein, businesses services continue to accumulate other products as part of an overall package. 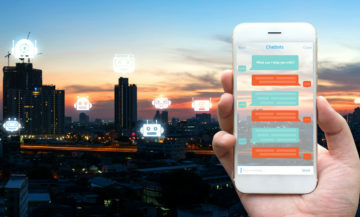 Office 365 bolted on Skype and Teams for collaboration, Salesforce, and other enterprise tools added advanced analytics, AI services and chatbots. Now we see vertical suites of all-in-one tools enabling startups to operate like giants and individuals to have game-changing ideas that can shake up the world. In summary, whatever the individual trends, many are advancing in harmony or a hodge-podge of alliances, as a bundle of advances linked together to make a greater impact than just a single trend. Analytics has been a cornerstone of business since ledgers were filled in with quill pens. The digital age sped up the calculations, but in the AI era, computers don’t just crunch your numbers faster. They can take into account external factors, be they hard numbers such as market trends or other predictions such as long-term weather reports and fuel prices for travel firms, crop forecasts for grocers or fast-food chains to help position stocks, hedge commodities and rationalize decision making. Predictive or augmented analytics can improve on the currently available technology, adding more data to the overall pot, correlating trends to past performance and identifying risks or opportunities. Predictive analytics is currently in use to help in fraud detection, asset management, and other business use cases. Following the theme of joined services, we’re also seeing predictive analytics being used with social physics (PDF) and blockchain to understand people-based choices, customer behavior patterns and help resolve their issues faster. Forget about a self-driving car getting you to the office while you update your report, or taking the kids to school. Already, larger-scale autonomy is on the way, drones starting to deliver parcels and take-out food. While self-driving freight lorries like Tesla’s Semi, self-navigating cargo ships (the story of the Yara Birkeland is well worth following) and eventually, self-flying, landing, and take-off cargo planes, being serviced by robotic unloading systems, all to help the world’s supply chains speed up that little bit faster. It is not just vehicles that are being automated, our smart homes and offices have automated environment controls, smart city traffic controls can dynamically change to prioritize and move the larger volume of traffic headed in a particular direction. Increasingly automated hotels, restaurants, and bars are all helping to change the pace of society. For better or worse, we will all find automation taking over a greater number of aspects of our lives, with the back-end systems all cloud and Internet-of-Things dependent, many using blockchain for security. The initial goal will be focused on cost-saving and efficiency for the business, but soon service delivery and accuracy will be keys to customer satisfaction. 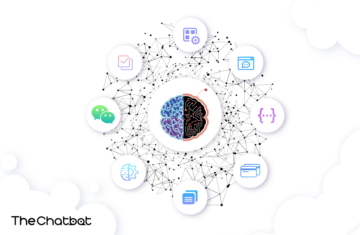 Backstopping all of these technologies is AI, which is fast moving away from a statistical tool or the driving force behind chatbots and virtual assistants to become the basis of disruption across many areas of business and society. True AI tools can adapt based on experience and lessons learned. They can learn on their own and provide unexpected ideas or results. If yours, or your vendors, can’t do that, then it isn’t true AI, and finding the real deal among the marketing hype is something that may take some time. Having started out in enterprises, as this SAS piece highlights (PDF), AI has rapidly proven itself as a business tool. 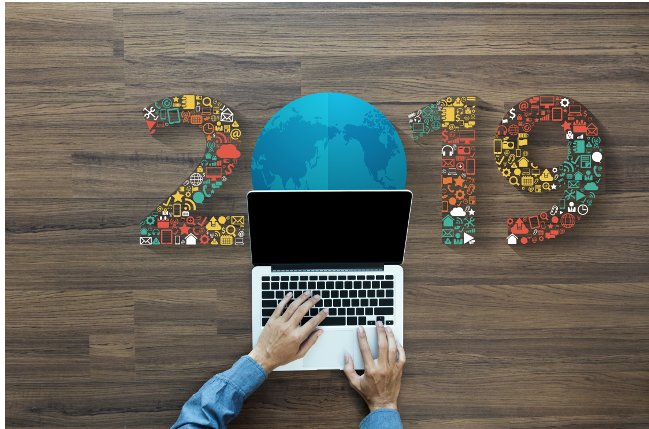 Moving from one pilot project or trial across the company, AI tools are helping take over the boring, repetitive or mundane tasks from workers, providing fresh insights for the business and move to frontline support in 2019 as the company sees proof of reliability and trust. AIs are moving already finding a home in any size business as the low-cost cloud nature of services makes them accessible. Here, the real advances will take place, as unconstrained businesses and startups seek new ideas or use cases, perhaps merging two-or-three other areas into one (following that main trend of convergence). Across all these trends, ideas and technologies working together will be key to making them a success and having the biggest impact, from the largest enterprises to startup innovation. And, as AI marches on, it will be seen in stores and on streets, leaving the lab and white-collar environment to impact everyone.